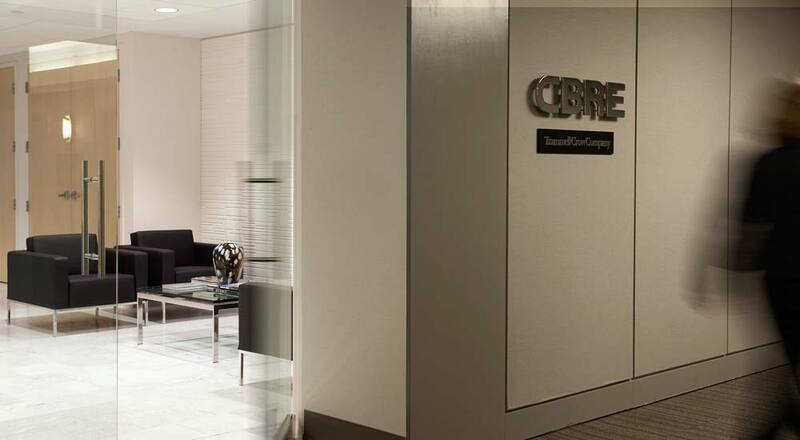 The Pittsburgh outpost of CBRE, the world’s largest commercial real estate firm, sought a more expansive space that would reflect their growing reach in the industry and their alignment with green building practices. 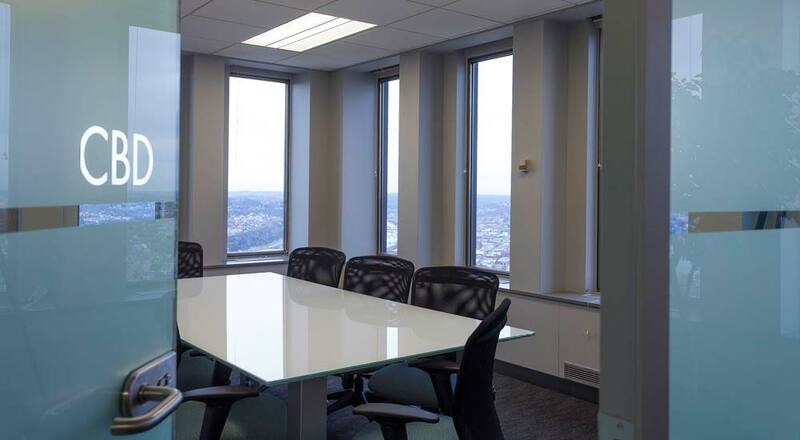 Previously on a lower floor of the U.S. Steel Tower, they now inhabit part of the building’s 48th floor and enjoy commanding views of the city in three directions. 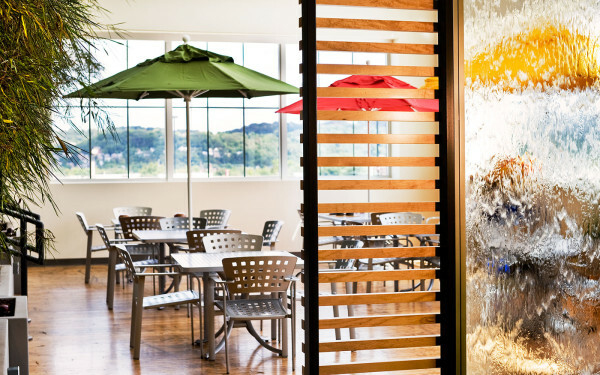 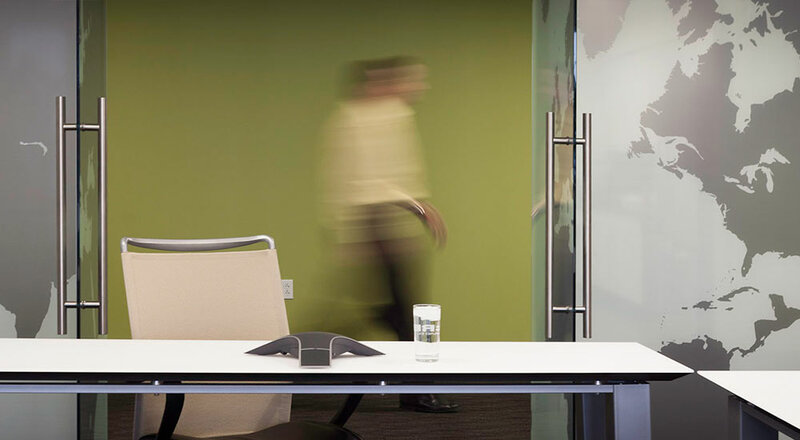 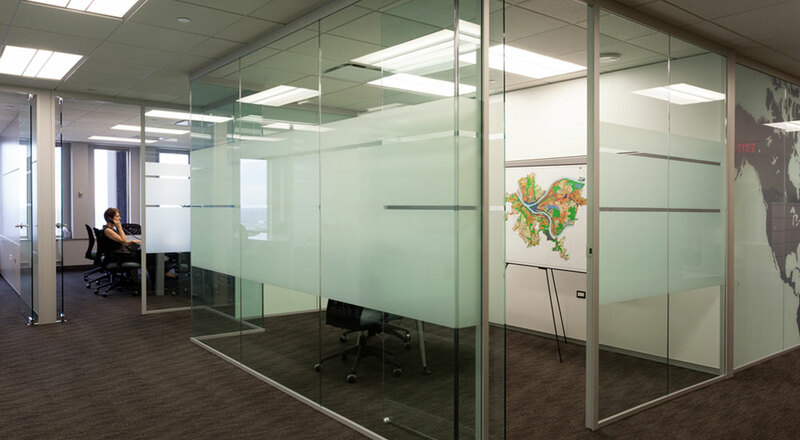 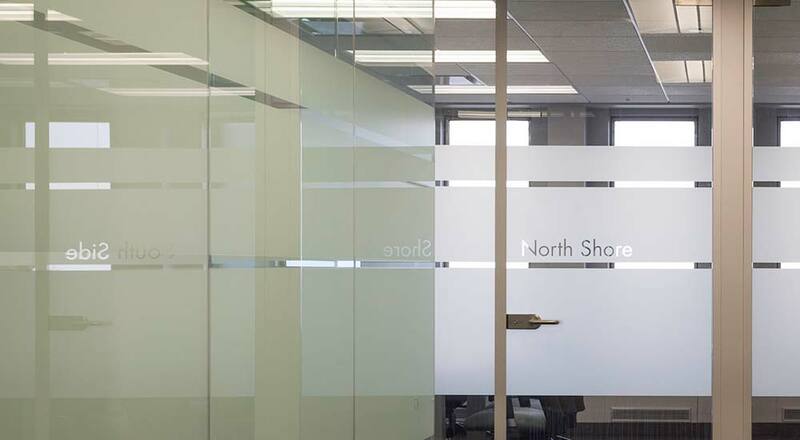 Elegant glass walls for offices and conference rooms enhance natural light throughout the 18,000 square foot workspace. 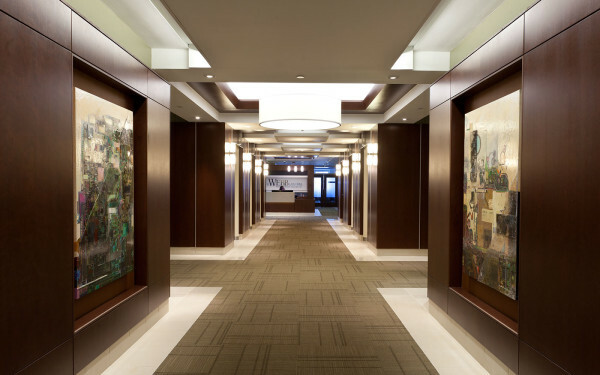 Visitors pass through the lobby and encounter a wall-size world map, a vinyl super-graphic applied to the main conference room, implying the company’s global influence. 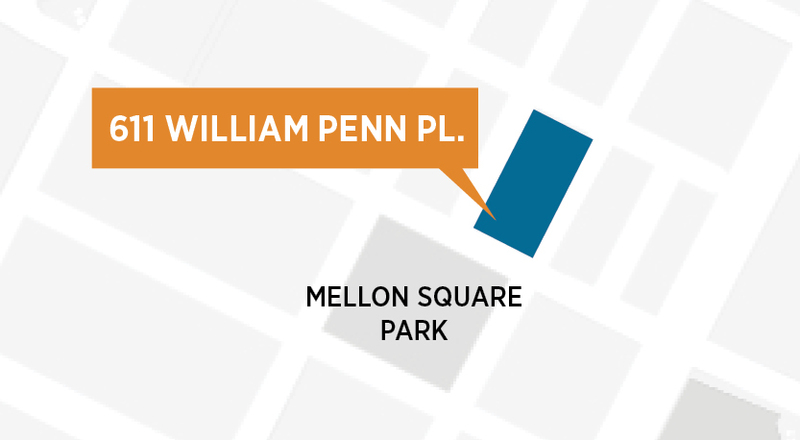 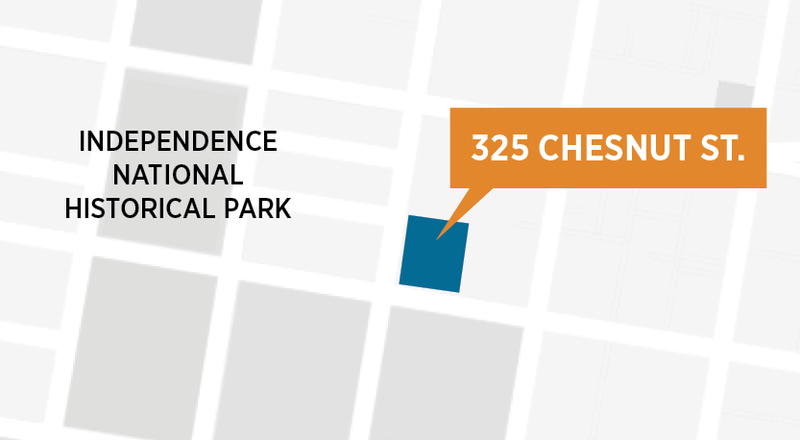 The names of prominent Pittsburgh neighborhoods identify smaller meeting rooms. 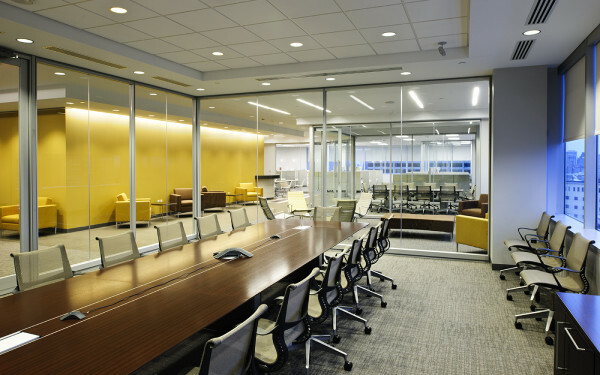 Advantageous use of interior daylighting, sustainable materials, and energy-efficient mechanical systems helped this CBRE office to achieve a comfortable new workplace and earn LEED Certification.